If you are a musician and would like to create professional quality music using your Mac, there are a number of free music making software which you can take advantage of. 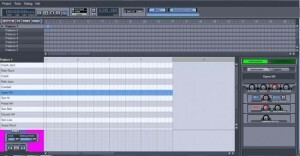 These applications allow you to convert your computer into a professional music studio. GTuner is a free and easy-to-use application for tuning your guitar. It has an interface similar to a hardware tuner. It gives you the option to tune your guitar automatically where it will find the matching string or manually where you could select a string to fix out-of-tune guitars. Gtuner also has Dock Tuning which lets you tune your guitar even when you are using other applications. 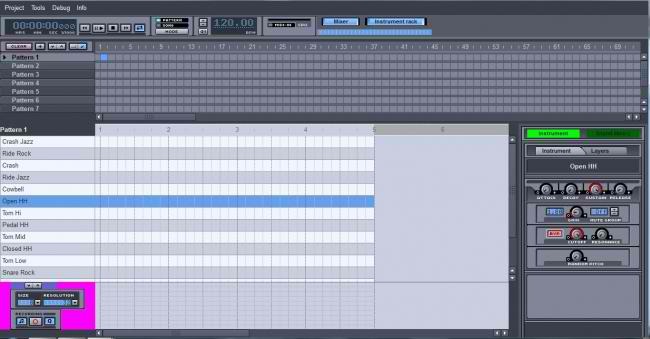 Hydrogen is a free drum sequencer that has many advanced features. This application works when you need help to program drum tracks. 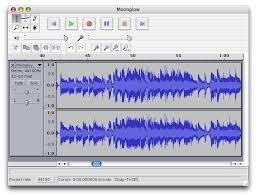 It can work with a wide range of music samples including FLAC and other lossless audio formats. It also features different kinds of instruments with up to 16 samples on each. With its ability to layer patterns and samples as well as humanizations and swing functions, it is considered to be one of the best free music making applications available. Another application that can turn your Mac into a music production studio is MuLab. This software works as a MIDI or audio recorder and sequencer complete with synths and effects plug-ins. It is also capable of hosting VST plugins. Although limited to only six tracks, MuLab has everything you need to create good music without spending a single dollar. And unlike other music making applications, this one has an easy-to-use interface with simple menus. Anyone who works with sound will find SuperCollider a handy and useful tool for producing music. It is designed for algorithmic composition as well as real-time audio synthesis. Among its key features are comprehensive musical pattern system and support for different musical styles and technical requirements. 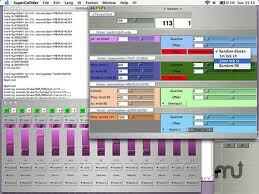 It also works with other programs that use Open Sound Control or MIDI. Melodyne is another application with robust features for manipulating the pitch and timing of audio tracks. It has the capability to make any changes in the melody of a song, transpose an entire song, change the beat of the drum, or put a backing vocal that harmonizes with the lead vocal. Although it is a premium application, a free trial is also offered. 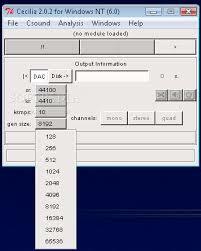 Using simple syntax, it is possible for users to make GUI using Cecilia 5. Using pyo audio engine, this application facilitates the integration of the audio engine with a graphical interface. And you don’t need an API for communicating with the interface. Additionally, this application comes with numerous modules designed for music synthesis and sound effects. 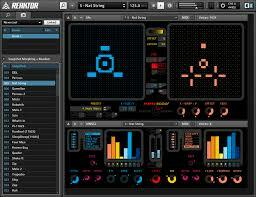 For those who are a fan of sound designs and synthesizers, Reaktor 5 Player is a free tool that you can use. With its effects features, synths and samplers, it lets you experiment with the music you are making to come up with good audio output. It also sports a simple interface with a clean layout. Although it works as a standalone application, you may also use it with other music programs through audio units, VST 2.0 and DXI plug-ins. SonicBirth is a modular program that enables you to cobble together different instruments and incorporate VST plug-ins to create synthesizers, audio effects and more. 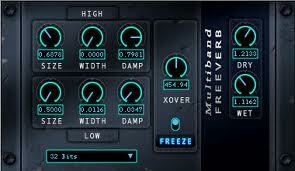 Anything created using this application may be exported as Audio Units plugin or VST plugin. Released in the early 2000s as one of the pioneers in digital DJ systems, Mixxx remains a powerful application for DJ’ing. And now, many features have already been added or modified from the original. Among its important features are parallel visual displays, beat estimation, and support for a wide range of DJ input controllers. It also comes with integrated Icecast and Shoutcast for creating your own online show. 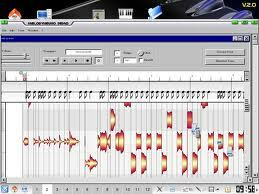 Audacity is a free music making software that works as a music editor. 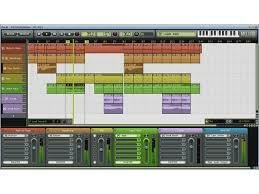 It uses a single interface for both wave and multitrack editing. This means that you don’t have to switch your editor regardless of the kind of editing you want to do. It also has the capability to speed up or slow down playback without affecting the audio quality. Some of its key features include multitrack truncate silence and easy solo and mute switching which can be useful when you are comparing tracks.